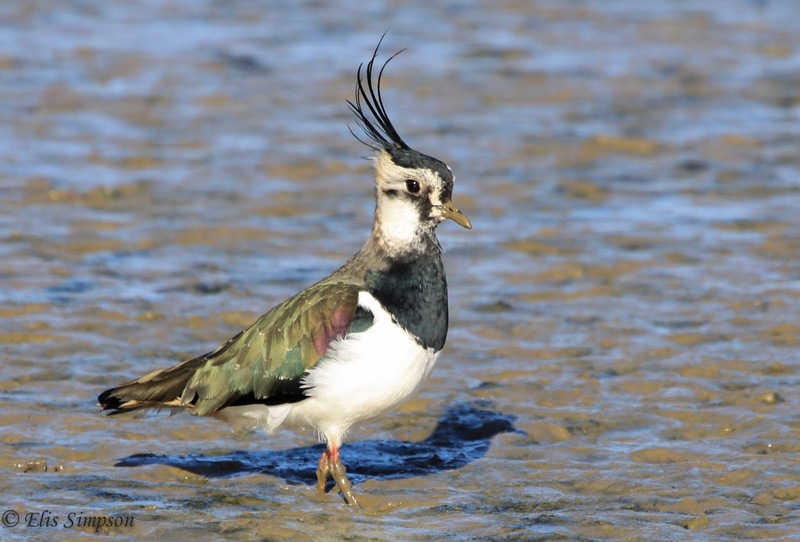 Wader Quest: Chocolate eggs and bunnies; how about some chocolate Lapwings? Chocolate eggs and bunnies; how about some chocolate Lapwings? It's that time again, when we are all anticipating spring and munching down on our Easter treats (if we are lucky enough to have them). The links between eggs, springtime and Easter are all pretty obvious as they more or less coincide in the northern hemisphere, despite Easter being a movable feast. The link with the bunnies is less obvious and in fact stems not from rabbits but hares. In pagan times it was noted that the hare creates a form in which to hunker down to hide. It was also noted that from time to time there would be eggs in that form. With our knowledge of biology we know that the two are not linked these days, but back then they did not and it was believed that the hare was a provider of eggs. This then is where the Lapwing comes into the story for it was they that were laying the eggs. Having found the hares' forms they looked like suitable places to make a nest; cutting out some of the tiring construction work which had been completed by the hares. They would then lay their eggs in the form, which they now considered their nest, and the misunderstanding was born. Lapwing nest in the same meadow as the hares above. Easy to see how a connection could be made. So how did the hare become a bunny? Well that is down to the Christian zealots of old who considered the hare to have connections with the pagan world (the moon gazing hare being a sign of fertility) and preferred instead to place the blessings of the eggs on the shoulders of rabbits, thus your Easter bunny was born. Lapwings though played a much bigger role in this story than simply having the credit for their eggs usurped. Lapwings were once tremendously common throughout the British Isles and their nests were easy to find. It became a tradition to collect their eggs at Easter (they'd struggle this year Easter is so early), and as the population grew and the gourmands of the world discovered the delights of 'plover' eggs the pressure on the birds began to take its toll. More and more demand came from the markets in London to supply this delicacy to the tables of those who could afford them. The pressure grew with thousands of eggs being collected and sent to market. This was not sustainable and inevitably the supply dwindled and the Lapwings started to disappear along with their eggs. Eggs were shipped down from further afield, from the north of England and the continent to supply the demand for them. The problem became so acute that in the end the government of the day had to bring in an Act of Parliament protecting the Lapwing (The Lapwing Act 1926), the practice died out and the Lapwing numbers recovered. Since that time of course we know that their numbers have fallen back again, but that is another story. Chocolate Easter eggs were first made in 1875 by the Cadbury factory, but they were not universally accepted as a traditional thing, how could they be, they were new after all however the Lapwings had created a 'need' among the population for eggs of some kind, special eggs, not just any old eggs, and this need could now only be sated by an alternative, a delicious alternative not just a symbolic one. It is about time the Cadburys celebrated their debt to the Lapwing by creating Easter Lapwings to sell alongside their bunnies and eggs, even I might be persuaded to fork out for one then (especially if a proportion of the profit were to go to Lapwing conservation). Chocolate Lapwing anyone? Conversation overheard in a public house in Norfolk, England, 1926. Meanwhile in a London Market. And up the road in Bournville near Birmingham Richard and George are having a chat. Happy Easter to one and all and especially to our lovely Lapwings. This Lapwing is turning into chocolate already! Look at the bill and legs!